Open Road Films will release ROSEWATER – – in select theaters on November 7, 2014. The feature film ROSEWATER is based on the New York Times best-selling memoir “Then They Came for Me: A Family’s Story of Love, Captivity, and Survival,” written by the BBC journalist Maziar Bahari. A true story, the film marks the screenwriting and directorial debut of The Daily Show host and anchor Jon Stewart, and stars Gael Garcia Bernal, leading an international cast. 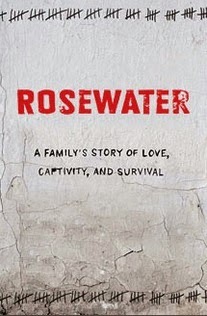 ROSEWATER is produced by Scott Rudin, Stewart, and Gigi Pritzker, with Lila Yacoub, Eli Bush and Chris McShane serving as executive producers. In October 2009, with Bahari’s wife leading an international campaign from London to have her husband freed, and Western media outlets including The Daily Show with Jon Stewart continuing to keep the story alive, Iranian authorities released Bahari on $300,000 bail and the promise he would act as a spy for the government. ROSEWATER has a direct connection to Stewart, who since taking over as host of Comedy Central’s The Daily Show in 1999, has turned the nightly half-hour satirical look at newsmakers and news-coverers into not only a perennial Emmy-winning juggernaut, but also an important touchstone on the zeitgeist. Stewart’s reach with his show appeals to a broad age group including those 18-24 years of age, many of whom get their news updates solely from The Daily Show. Stewart and The Daily Show covered Bahari’s saga nightly and had the journalist appear on the show to talk about his ordeal once he was released from prison.